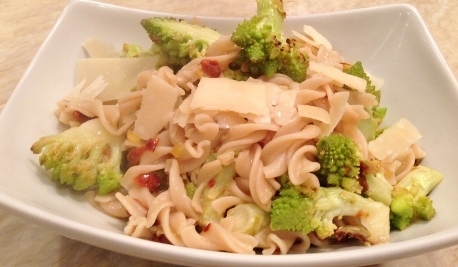 Romanesco, Lemon & Sun-dried Tomato Pasta - Recipe! - Live. Love. Laugh. Food. 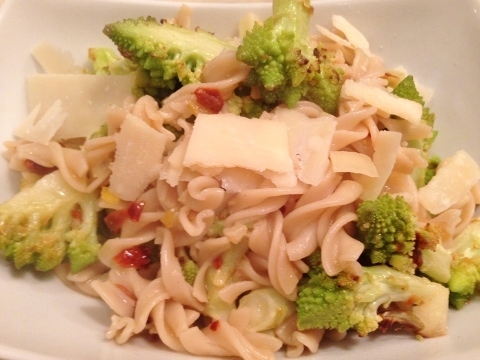 Romanesco, Lemon & Sun-dried Tomato Pasta – Recipe! Romanesco or Broccoli Romanesco as it is often called, is a delicately earthy vegetable that resembles the flavors of both broccoli and cauliflower. Its geometric appearance is bright with a magnificent green color and its sharp points are patterned similar to a star or ice crystals. 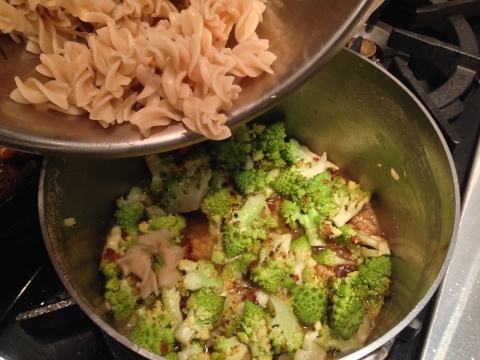 Romanesco can be roasted or steamed and it tastes are accentuated when tossed with other ingredients like pasta or other fruits and vegetables. 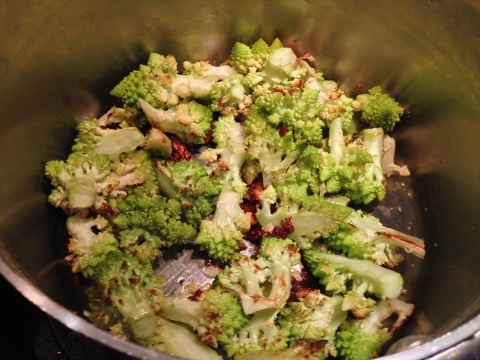 I enjoy pairing Romanesco with lemon zest, sun dried tomatoes and garlic for a vegetarian meal that’s light and very enjoyable. The flavors in this pasta dish are lemony and tangy because of the combination of ingredients and using brown rice pasta gives the entire plate a hint of nuttiness that works beautifully. It definitely makes a great Meatless Monday meal. 1. Preheat oven to 400 degrees. 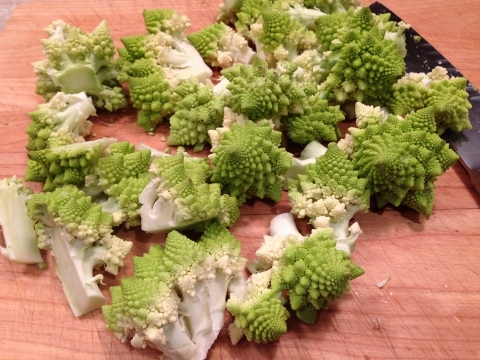 Cut Romanesco up into florets. Place it on an oiled baking sheet and cook in oven for 20-25 minutes or until tips are slightly golden brown. 2. 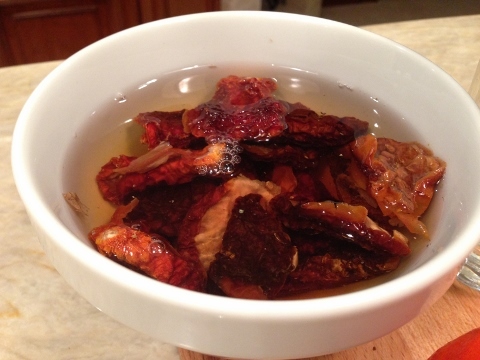 While Romanesco is roasting, soak sun-dried tomatoes in hot water for 10 minutes. 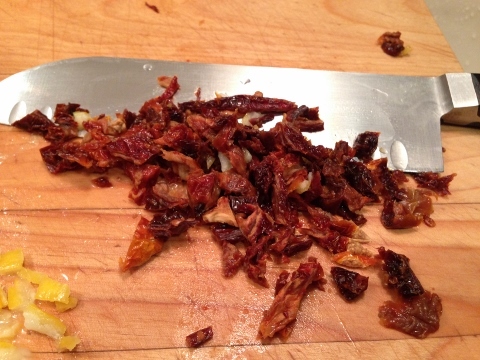 Drain liquid from tomatoes and chop into 1/4 inch slices. Zest lemon and set aside. 3. 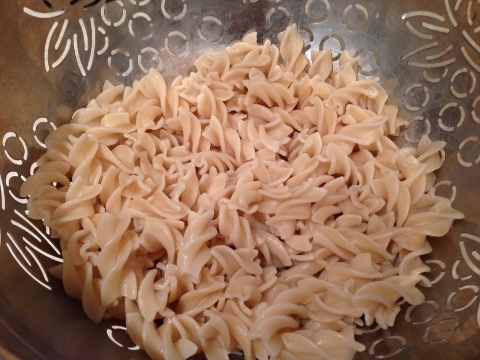 Boil water and cook pasta 8 minutes, drain – it should be very al dente. 4. In the same pot that you boiled the pasta, add 2 tablespoons of olive oil, sun-dried tomatoes and minced garlic and place over medium heat. 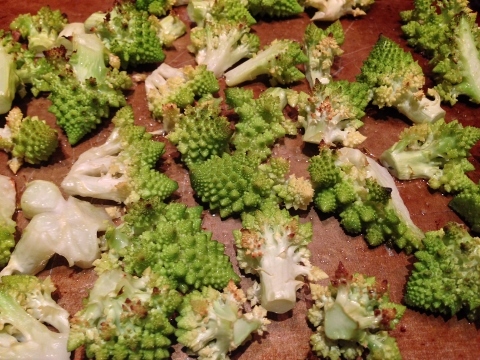 Cook garlic and tomatoes for 2 minutes, add roasted Romanesco. Stir mixture to combine. 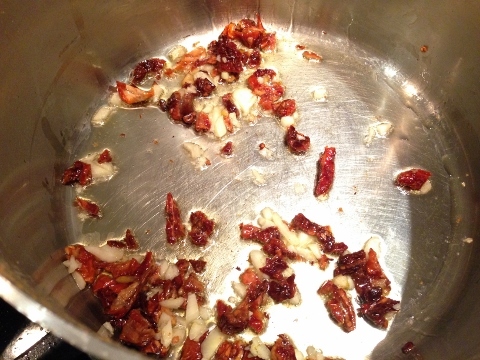 Add lemon zest to pot and stir to combine. 5. Add vegetable broth and turn heat to medium high. 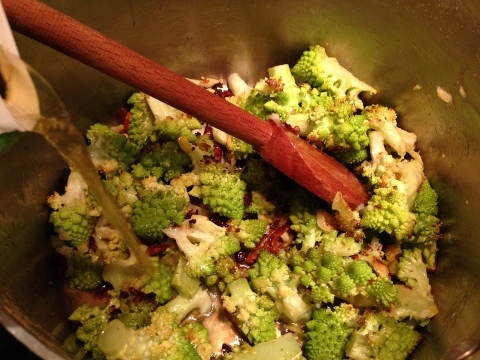 Cook vegetable mixture for 4 minutes, or until liquid is reduced by half. 6. Add pasta to vegetables and cook for 2 minutes, while stirring occasionally. Add red pepper flakes and stir. Cook pasta for 1 minute and spoon onto plates. Sprinkle pasta with Parmesan shavings. Enjoy! 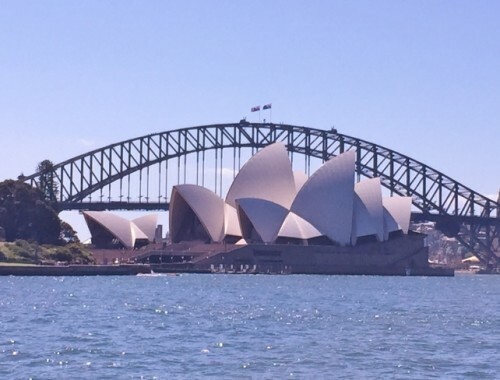 Travel Hunter Valley & Sydney, Australia – Eat, Drink & Explore! 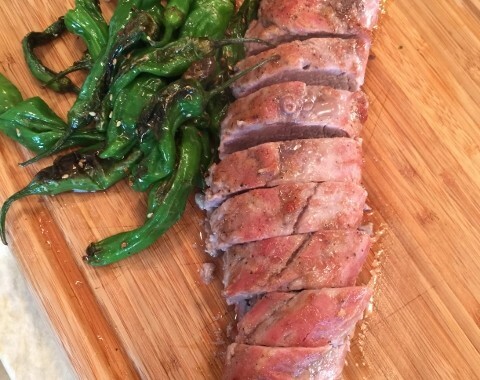 Miso Glazed Pork Tenderloin – Recipe! 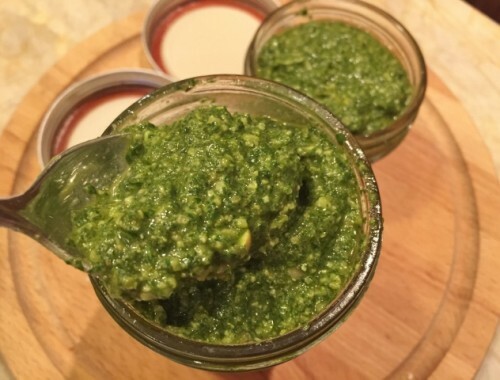 Beet Greens & Basil Pesto – Recipe!